When you think of the Fuchsia, do you picture beautiful, hanging baskets full of vivid colors and striking design? Or, do you think of the magenta color that was named after this plant? These teardrop-shaped plants are a pollinators paradise! Just ask your resident hummingbird. Fuchsias are also a quintessential summer symbol in the garden. How many plants can you think of that are lucky enough to share their name with a color? With over 100 species to explore and an interesting history, the fantastic Fuchsia plant just had to be our pick for May's plant profile of the month. Interesting fact: The Fuchsia is usually found in the form of a shrub or bush. There is also a species of Fuchsia tree native to New Zealand that can grow to 40 feet tall! Did you know that this plant's name is usually misspelled? True story in full disclosure, we are guilty of spelling "Fuchsia" as "Fuschia" in public. How embarrassing! On our podcast episode 17, "Best Pest Prevention Strategies," we highlighted 5 Fun Facts about Fuchsias on our "That's Good to Know" segment. We created a Fuchsia graphic to advertise the segment and sent it out to Pinterest, MISSPELLED! We later retracted the pin, corrected it, and re-submitted it. Phew! Unfortunately, this error actually happens a lot (seriously, do a quick google search). The good news is that as soon as you learn the history of the Fuchsia, you won't make that mistake again. This beautiful, tropical plant continues to dazzle our yards and win the hearts of pollinators, and some pests, around the world. So, where exactly did the Fuchsia originate? How should you maintain your baskets and care for them in your garden? 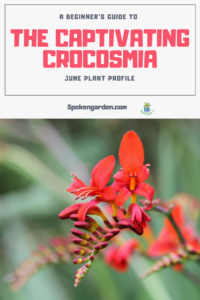 Read on to learn more about the history, common characteristics and even a few fun facts about this fantastic plant. Print your FREE Fuchsia Plant Profile! Subscribe to our Spoken Garden community and receive your FREE Fuchsia Plant Profile! Included in the plant profile: Fuchsia general plant info, fast facts, companion plants, and a planning guide! The birthplace of the Fuchsia can be traced to Central and South America, New Zealand and Tahiti. In these warm, tropical climates Fuchsias were born. Eventually, they spread throughout the western world. This beautiful plant was first discovered in 1697 on the island of Hispaniola (present-day Haiti and the Dominican Republic) by a French Botanist and monk named Charles Plumier. This traveling monk discovered several interesting species on his Caribbean explorations, including Begonias, Lobelias, and eventually Fuchsias. Plumier was a big fan of a German botanist named Leonhard Fuchs who lived 100 years previous. Plumier decided to name his newly discovered plant the "Fuchsia" in Fuchs' honor. 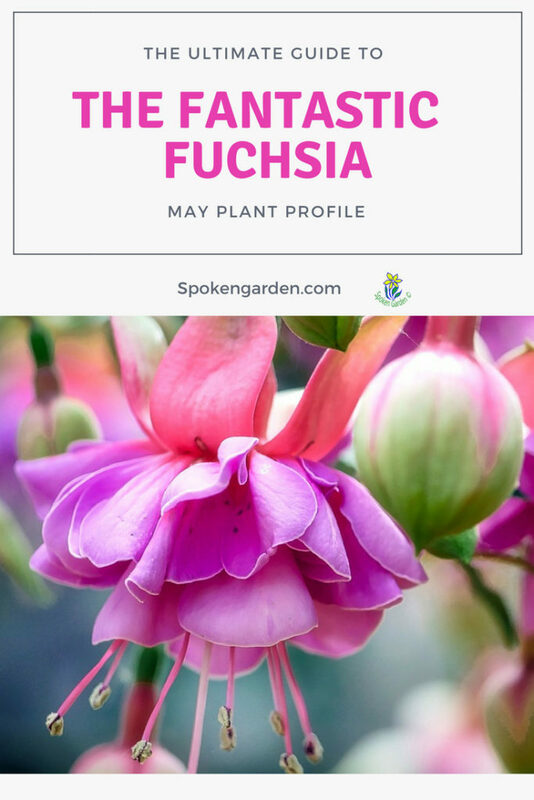 Sidenote: you can see how the name Fuchsia should never be confused with the often misspelled Fuschia since Fuchs (pronounced Fooks) was the plant's namesake. Following the plant's discovery, the Fuchsia plant grew in popularity and began to be hybridized. The plant eventually reached the UK and was introduced into English gardens by the end of the 18th century. Gardeners and enthusiasts continued hybridizing the plant into new varieties in their greenhouses. By World War I, the Fuchsia ceased to be grown and thus lost its popularity so that food could be grown. It took America to excite people to grow Fuchsias again, about 1929. That same year, the American Fuchsia Society was formed. 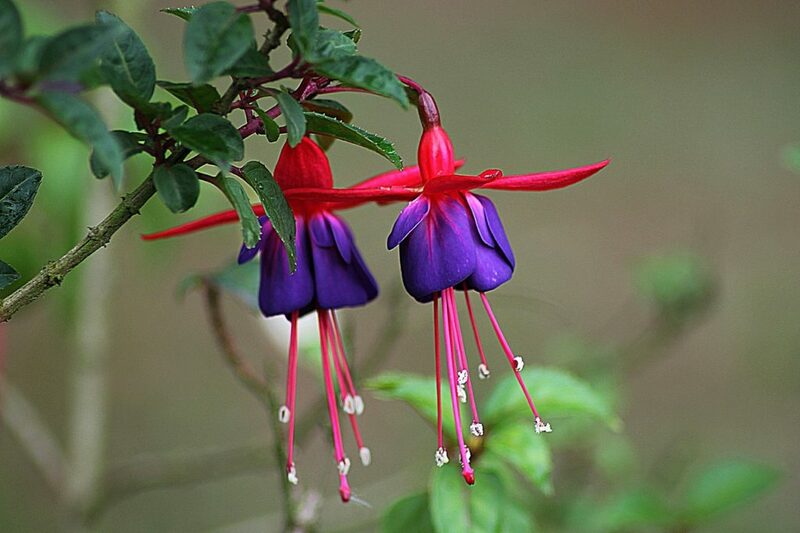 Today, there are over 120+ different species of Fuchsia and they continue to gain popularity. Fuchsias can be found in their native mountainous, wet and humid areas of Central America, South America, New Zealand and Tahiti as well as hanging in many yards around the world. For more of a brief history, click here! Check out this link to get a look at the different species and some sample photos! Ok, now that you’ve caught up on a brief history, let's move on to the common characteristics of the Fuchsia. Botanical/Scientific Name Fuchsia x hybrida, and 121+ other species. Types Evergreen and deciduous shrubs. Some can be trained into actual trees. Zones Sunset= Zones 4 to 6 with protection; 15 to 17, 22 to 24, and H1. Other zones, 7 to 9, 14, 20, and 21 can be grown in but with difficulty. USDA= Hardy to zones 7 to 9. General Information Hybrids are mainly marketed as hanging basket plants for seasonal color and can last from mid-Spring to mid-Fall. Great for adding depth, texture, and breaking up visual lines at entrances, around windows or on other structures. Can be used also to frame walkways and direct traffic along paths, peripheral decorations around seating, or focal centers. Can be overwintered in colder climates. Native Environment Native to tropical wet, mountainous areas of the Americas, including Mexico, Central and South America, and New Zealand/Tahiti. Mature Height/Width Hanging baskets will trail and size can be dependent on watering, fertilizing, and placement making it variable. Shrub forms can grow 3 feet to 6 feet tall and wide. Some species can be trained as espaliers and trees. Bloom Time Late Spring to the first frost. Flower Colors There are two parts of this colorful flower; the Sepals and Petals or Corolla (as most flowers have this morphology, but fuchsias have the distinction of these two being either different or the same color). - Sepals usually are either white, red, or pink. - Petals or Corolla can be white, red, or pink, BUT also can be in ranges of other whites, blue-violet,, purple, pink, red, and shades approaching orange. Flower sizes can be as small as a peanut shell to as big as a small child's fist. Sun Exposure Prefer shade in harsher, warmer climates, but can take dappled all day shade or full morning sun in cooler climates. Prefer higher-humidity areas and watered moist soil. Protect from any hot afternoon sun and hot windy conditions, and in hot drier areas. Fertilize? Light regular balanced fertilizer every week or two to keep plants blooming. Can use a time-release fertilizer also if convenient. Plant Spacing Hybrids can be spaced every 3 or 4 feet, depending on hook positioning and how light hits each basket. Other species might need more spacing, like 'boliviana' where it grows erect reaching up to 12 feet high and needing 8 feet in width. In contrast, 'triphylla' will grow 1-2 feet high and wide, needing a completely different spacing. Suggested Companion Plant/s As a hanging basket, it is usually best to keep by itself as it grows in every direction and can compete for space and sun light. 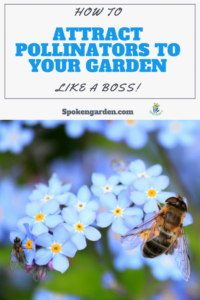 Planted in the ground, it pairs well with other plants having different flower and leaf types, like Hosta's, Hellebores, or even Rhododendrons. Lots of other companion plants to choose from, so try them out and see what you like! Maintenance Level - In general, keep area around plants picked up of any fallen leaves or spent blooms. 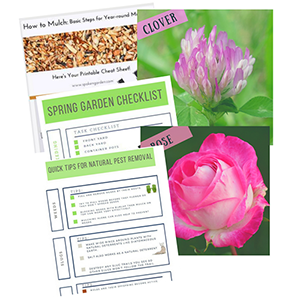 Don't let fallen blooms pile up, as they can make great homes for different pests and promote fungus. - Pruning needs to happen after the last threat of frost has passed, but before new Spring growth begins. Hanging basket hybrids can be severely pruned back to keep only the first two buds of last years growth. New growth can be then pinched after the first three buds to promote more branching and can continue for a couple of weeks. In ground plants don't need to be pinched, but can be pruned to remove any dead tissue and to shape. - Overwintering is possible in many regions. In the PNW, bring your container/hanging basket fuchsias into your garage or structure to overwinter and protect. If left outside, the container plants will have root damage from freezing temperature, and potentially die. In-ground plants can be heavily mulched, definitely in cooler/colder climates. - Need well draining soil with high organic matter. Pest Susceptibility Aphids, White Flies, Spider Mites, and in California the Fuchsia-Gall-Mite. Poisonous to Pets? Not outright poisonous, but too much of any plant parts can make your pet sick. Edible for Humans? No known poisonous attributes and there are actual recipes from England and France, and other countries, for preparing jams and other foods. Fun (or historical) Facts - All Fuchsias are New World Plants. - First discovered by French Jesuit Priest Leonard Fuchs on the Island of Hispaniola in 1697. - Hummingbirds cannot resist feeding from Fuchsias hanging from your roof-overhang. "if you hang it......THEY will come". - In Japanese culture, when invited to someones' home, you should bring Fuchsia flowers or a plant, as it is a sign to the host of "having good taste" and a great compliment. 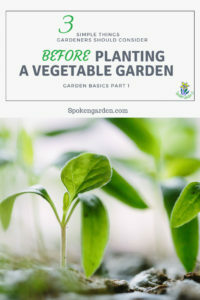 How to Build Your Very First Raised Garden Bed! The Fuchsia is an interesting plant currently having over 120 different varieties. It can be found as a tree, a shrub, or a beautiful, hanging basket. 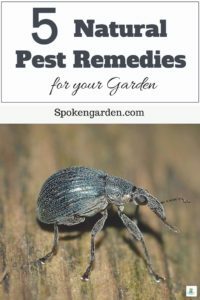 They can even survive over a cold, PNW winter and bloom again the following spring or summer as long as you take the right precautions. For more information on different species, go to the Northwest Fuchsia Society's website and geek-out on different species for your garden! You could find the perfect Fuchsia to compliment your garden style. 7 best reasons mulching your garden is beneficial. 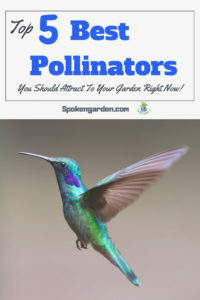 Make sure to watch for our next post where we will discuss how to best attract pollinators to your yard. 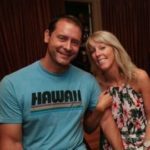 Let us know if you have any questions or comments anytime, we would love to help. If you liked our article, subscribe below! Follow us on Pinterest, Twitter, Facebook, and Instagram so you don't miss a thing! See you in the garden!